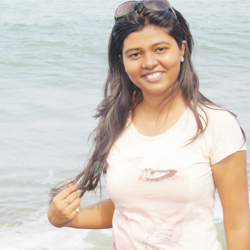 Ankita is an avid lover of art, culture, movies, people and travel. She is a wanderer by heart and writer by profession (when not busy in fantasizing about many things she desires in life). Ankita believes in exploring new things every day. She believes “Travel opens our mind and refreshes our soul, it has its own hypnotism and one should always be under its magical spell”. Ankita belongs to the steel city of Rourkela with many big dreams to be fulfilled.